Sign up and receive Property Email Alerts of Houses to let in Green Point, Cape Town. Two bedroom home off Ocean View Drive in Green Point. Two bedrooms two bathrooms, main en-suite. Open- plan living area leads out onto large covered patio, ideal for entertaining. Private garden and pool in very quiet, yet central location. Fully equipped kitchen with separate scullery and separate laundry. Automated garage. The townhouse is tastefully decorated and comes fully furnished. Domestic cleaning 2x per week at extra charge. DSTV is available. The choice of channel bouquet is up to the client at his or her expense. 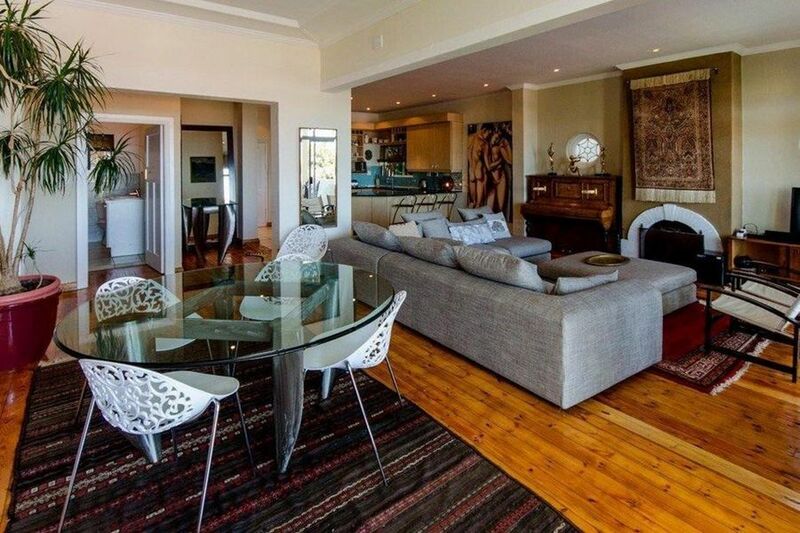 Sign-up and receive Property Email Alerts of Houses to let in Green Point, Cape Town.